With the power of friendship! While I recall playing a portion of Tales of Symphonia back when it released in 2003, Vesperia is the first of the Tales games that I have play right through to the end credits. I will admit, however; that my experience with the game wasn’t always smooth sailing. While I eventually grew to quite enjoy the title, and see what all the fuss was about, it does have some inconsistent aspects to its pacing and some audio issues that made for an imperfect experience, but more on those issues later. For those that have only experienced the Xbox 360 version, and of course enjoyed it, there is a wealth of new content here that never made its way outside of Japan. You have a new character in Patty Fleur, a young pirate girl with treasure on the mind, as well as having Flynn as an actual controllable party member at various moments throughout your adventure. Of course, these additions mean new story arcs, side quests, new locations, new music, more voice work, and new NPC’s that all complement this added content. There are more costumes, new skills, new dungeons, and even new mini-games as well. Even those that have completed the Xbox 360 version from head to toe will be treated a ton of new content that was previously exclusive to the Japanese-only PS3 version. Tales of Vesperia takes place in the world of Terca Lumireis; which consists of several islands and large land masses that are surrounded by a vast ocean. Its people use a type of ancient technology called Blastia to go about their daily lives. This technology powers everything from boats, to water pumps, to personal protection gear called Bodhi Blastia, the latter of which is used by our hero, Yuri Lowell. In fact, this adventure, one that has our heroes eventually saving the world, all starts with the theft of the Blastia powering a water pump in the poverty-stricken lower quarter of the central kingdom. You’ll initially start as Yuri Lowell, the main protagonist of the story in which nearly all the events of the narrative tend to unfold around. While you can switch to any member of the team for your combat encounters, and eventually that of who you choose to run around as, Yuri is almost always in the spotlight. 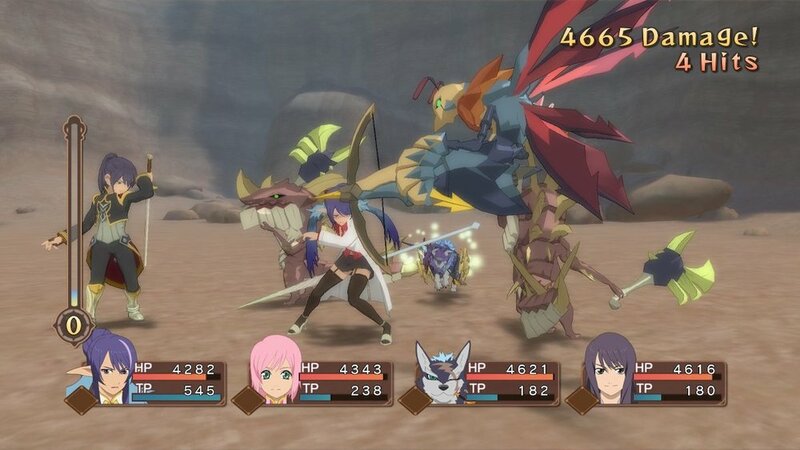 Yuri is joined at the hip with Repede, his loyal dog companion who tends to sport a pip and a quick-to-grab dagger that is within reach of his fanged mouth. It’s not long before you meet up with Estelle, a sheltered noble woman who has a vast knowledge of the world and its customs; the knowledge of which is through the numerous books she’s read living an isolated life in the palace. Eventually you’ll team up with the likes of Karol, Rita, Raven, Patty, Flynn, and my personal favorite; Judith. Each character comes into the story to serve a purpose as no one is truly wasted on when it comes to assisting with the main narrative, or providing wonderful conversation, of which there is boatloads. 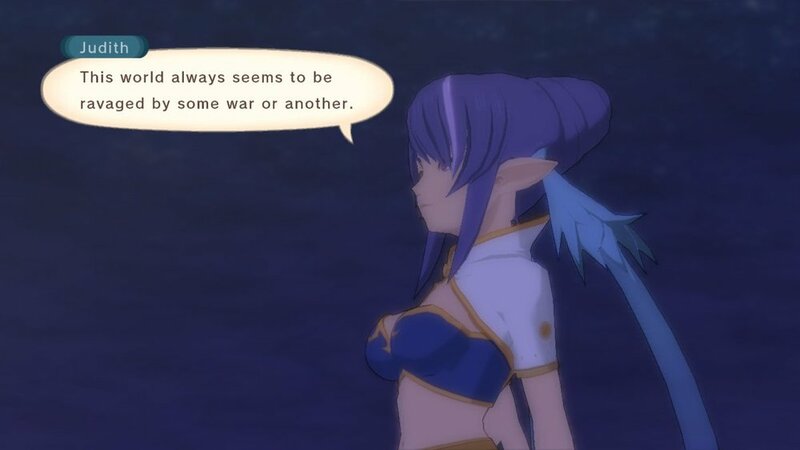 While the story jumps around to various tasks such as tracking down the Blastia Thief, attempting to stop a mysterious figure from destroying various other Blastia, to that of the wars between the Empire and the Guild Union, Tales of Vesperia has a lot going on, and not all of the story beats pay off. There are moments of strange downtime during crucial parts of the story where speed seems of the essence. Several of these moments are when Yuri is placed on his own in each of the numerous towns, patrolling around and interacting with each member of the team individually before he eventually turns in for the night. While these moments allow for us to get to know each character and their thoughts on the current situation, they starve the game from the sense of urgency it requires, at least most of the time. The game also does a poor job at fence posting where you’ll need to go. While there is conversation and information in your journal notes about where your next task is located, the play space is completely free of any icons or objective markers, for better or worse. While that may be something of a satisfaction to certain players, it can make the game a tad tedious needing to explore every corner of each location in order to trigger the next cutscene. While several of the characters are the normal "what you see is what you get” there are a few of them that have some very shocking and interesting developments, especially that of Yuri. His characterization is handled in some ways that we normally don’t see in a traditional protagonist. He isn’t afraid of getting his hands dirty or doing whatever he can to protect his friends, regardless of whatever side of the law that choice finds him on. What helps with much of the depth given to the cast is that nearly every conversation is fully voiced, with very little that isn’t. The voice-work here is largely fantastic and allows each member of your party to flourish in ways that “just” text would lessen their impact. What is even more impressive is that the various costumes you can unlock also provide exclusive conversations themselves, often having several moments of characters complimenting one another. My favorite of these is when the team realizes that Flynn looks far more relaxed when dressed in his beach gear, having the conversed character reflecting on what it truly means to wear his armor and what he is without it. While the audio here is largely wonderful, the aspect of it that doesn’t quite hold up is that Bandai Namco chose to recast Yuri in moments where the character had additional lines due to the extra content packed into the Japanese PS3 version, opting not to continue their working relationship with Troy Baker. While I am unclear on why he didn’t return, he’s made it very clear himself that he would have enjoyed returning to the character and has expressed disappointment he wasn’t asked to come back. That being said, these additional lines really do stand out as not only does the actor not sound exactly like Baker, but you can tell that a completely different microphone was used during all these additional lines. There are also several lines delivered by numerous characters that sound as if they were recorded from a phone call, especially that of a conversation when Yuri is in a prison cell for the second time. The world of Terca Lumireis is filled with fairly typical locations found across the genre; forests, mountains, deserts, and a wide assortment of towns and cities. There are also a few locations that are drastically different from the norm, but those are mostly reserved for locations built around the final act. You also have a huge variety of dungeons and buildings to explore during the fairly lengthy 60-70+ hour playtime that the game can easily run you should you task yourself with completing all that the game has to offer. The environments, while gorgeous, and not to be confused with the overworld map, are built to be viewed from a certain angle, giving off a pre-rendered vibe as the camera zooms and pans around you. With a world so large, you’ll eventually gain access to a boat, allowing you to move from continent to continent at a very fast rate. This comes in handy when you are tasked with bouncing from location to location at an almost annoying rate, especially in the late game. 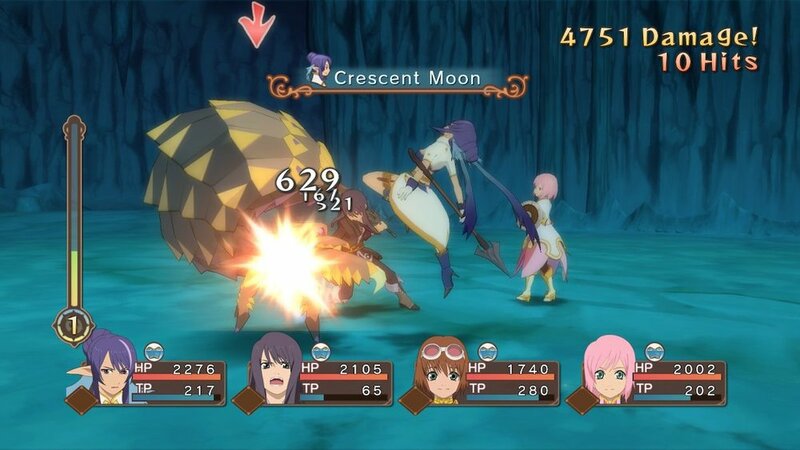 Vesperia’s combat begins when you make contact with enemies either in the overworld, or in the various environments and dungeons you’ll explore. Using the series’ trademarked Linear Motion Battle System, your character can lock onto an enemy and then can move in a straight line towards them. When that foe is defeated, the camera swings around to allow this linear system to provide that left and right movement action. While it isn’t as freeing as some other games in the genre, the combat here is extremely fast paced and offers a wide range of special attacks, skills, combo’s and numerous items to heal, cure status ailments, and even stop time entirely. While the combat can feel a bit light and repetitive early on, it is when you start unlocking some of the stronger abilities across your whole team where the game truly hits its stride. Most of the skills that you’ll outfit to your team come from the very weapons they will wield. By having that weapon used in combat enough times, that character will permanently learn and be able to use that skill. This can be a crucial element to the game as several skills can almost feel required during some of the more challenging opponents. Some weapons are also used as materials to upgrade to better versions of them, so keeping on to your old weapons will often reward you. There are also special weapons that can be found at various points in the game called Fell Arms that are the best possible weapon for that character. It is a very lengthy process to collect and unlock these weapons fully and are mostly there for the dedicated player. Weapons and armor are generally found as you explore each location, but the vast assortment of them are purchasable from the various shops you’ll find in each town. For those who are wanting a more casual experience, there is free DLC provided that grants you numerous materials as well as level boosters to have your party over-leveled to an almost insane degree. The game does contain a few difficultly settings, allowing anyone to sit back and enjoy the game on their own terms. That said, there are moments in the game where you’ll want to take to the fields and dungeons and simply grind away, as some encounters, especially the final one, can decimate your team rather quickly, regardless of whatever difficulty you’ve chosen. Apart from your standard quests, basic exploration, or side quests, you also have a host of Giganto Monsters to track down. These large beasts are not part of any quests and are there simply for the challenge. While you may encounter them across your normal travels, several of them are off the beaten path, rewarding the amount of time you spend touring the numerous locations across Terca Lumireis. Lastly, are the inclusion of secret missions. These mysterious tasks can almost feel as if they were designed for going into battles with a guide, or just lucking out on whatever the task may be. For example, during my play, I completed eight secret missions. With the game containing nearly two dozen, some challenges like timing certain attacks, protecting certain team members, or knocking down a boss after it clutches its heart, can feel again, as if they were designed around knowing that knowledge before hand. 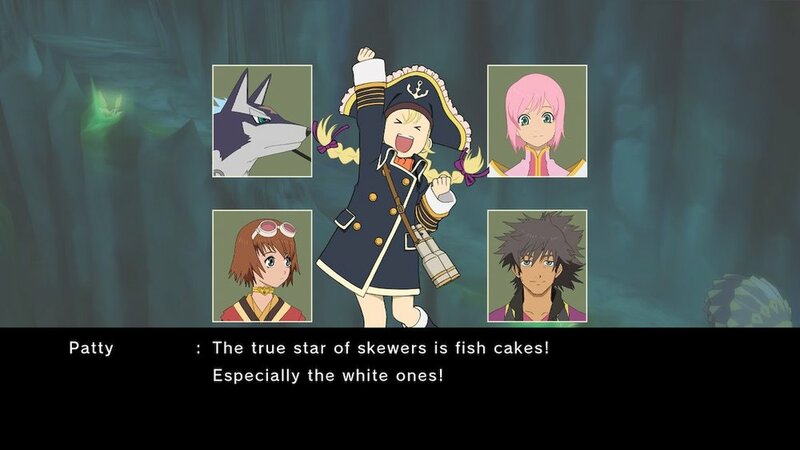 Even back some ten years ago, Tales of Vesperia was a very good looking game given its art direction and style. While the game hasn’t seen a massive rebuild by any means, the game is certainly cleaner and a tad more sharp than before. While my time with the game was via the Nintendo Switch version, I’ve seen the console versions in motion and it more than holds its own among them. The only time I’ve noticed the game dropping frames or struggling is when I’ve swapped costumes across my party and then launched a combat encounter. Other than that, I’ve had smooth sailing both portable and docked, with the visuals softening a small degree when I was on the go. Given that the Switch allows you to take the game with you, I strongly recommend this version over the others. 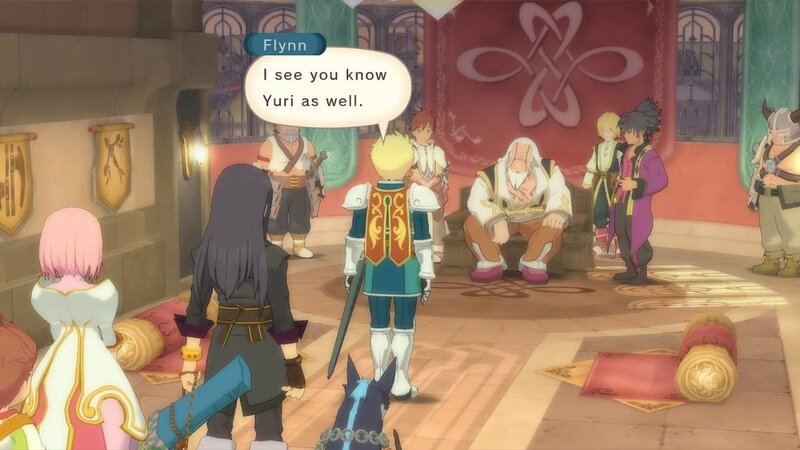 With Tales of Vesperia being a resolution bump of an older game, it makes sense that the game doesn’t feature a massive difference in visuals across either platform. Tales of Vesperia didn’t quite hook me until several hours in. I actually wasn’t sure if I was even going to keep with it, to be honest. Once the story started to push past the Blastia thief and started to dive into the main plot, the game really started to turn around. I came to really enjoy the central cast of characters and even some of the minor ones that would turn up from time to time. The constant reappearances of certain villains was always a welcome as the game does a great job at making you either really hate them, or have you wanting more from them, and then often delivering on that. The combat certainly improves when you start to unlock more and more skills, and the ability to swap up your party and adjust the flow of combat adds a ton of variety. Tales of Vesperia is a rather enjoyable adventure that stumbles early on, but finishes strong and rewards those who keep with it. Tales of Vesperia: Definitive Edition was purchased by the reviewer.